Cuphead was one of 2017's biggest hits when it launched in 2017. With its hand drawn graphics reminiscent of 30s-era cartoons, Cuphead won critical praise and the Game Award for Best Art Direction. 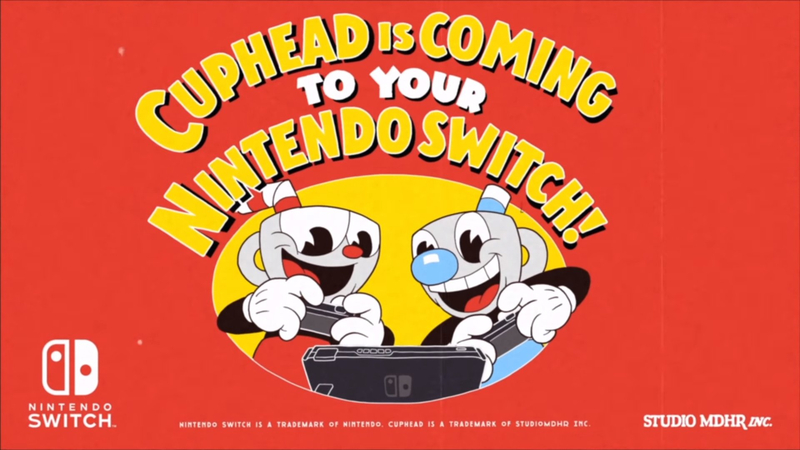 Nintendo announced earlier today that Cuphead is finally making the jump to Switch on April 18th! The Switch version of Cuphead will run $20 and preorders have already opened up. Players will find some new features as well including Mugman available in single-player, new fully-animated cutscenes, new art, fight intros, additional language support, bug fixes and new secrets to discover. The updates will also be applied to XBox One, PC and Mac as well. Cuphead, the all-cartoon Magical Wondergame, is coming to Nintendo Switch! Play as Cuphead or Mugman (in single player or local co-op) as you traverse strange worlds, acquire new weapons, learn powerful super moves, and discover hidden secrets while you try to pay your debt back to the devil!